Awesome CPU & GPU: Equipped with Amlogic S912 Octa-core 64-bit ARM Cortex-A53 up to 2GHz and 750MHz+ ARM Mali-820MP3 GPU processor. Its high machine configuration gives you ultra-fast running speed and professional task processing ability. Change your TV to a smart home theater and a big screen game machine, enjoy the smooth and the speed. 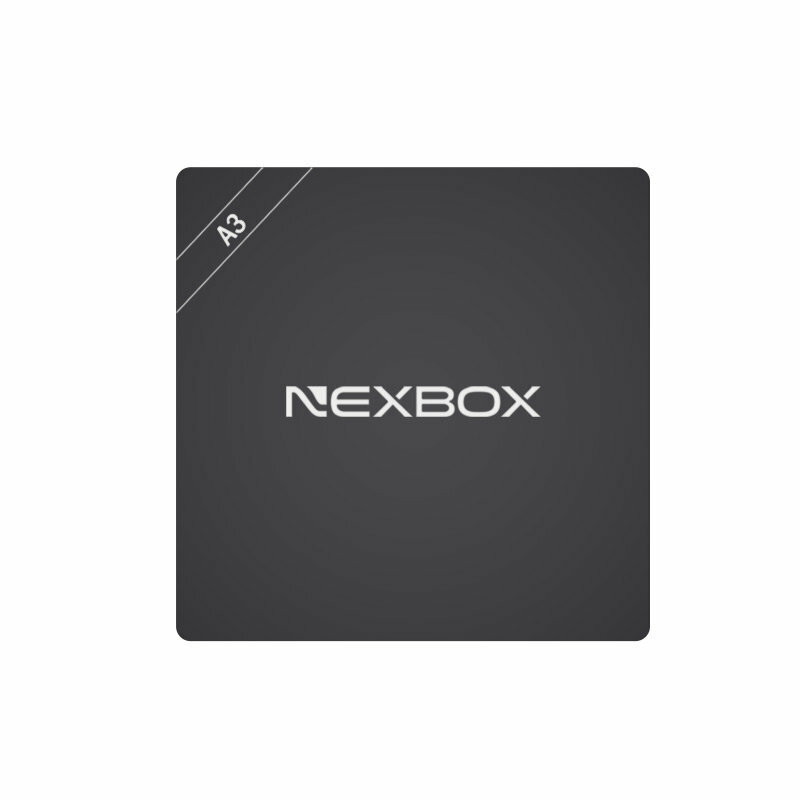 Rapid & Stable System: NEXBOX A3 comes with the newest Android 6.0 System. Abundant app resources for you to choose and install. Support bluetooth 4.0 version. Support kinds of media and photo formats, meet the varies customer demands. 2GB RAM & 16GB ROM, Kodi Center: NEXBOX A3 equipped with 2GB RAM and 16GB ROM, provides you more space to download your favorite Apps and to browse websites, play games, run Apps, watch movies more smoothly. Users can find the desired applications in KodiCenter and install them, also the useless apps can be uninstalled in KodiCenter. H265 and VP9 decoding: NEXBOX A3 supports both H.265 and VP9 decoding, which are the absolute mainstream decoding formats in the globe. Compared with H.264, H.265 decoding is faster and more powerful. H.265 decoding only uses the half bandwidth of H.264 decoding, which decreases the system operation pressure. And it operates more stable even under a complicated Internet environment. True 4K Resolution: 4K is ready to replace 1080p as the highest-definition signal available for in-home movies and televisions. With a minimum definition of 3,840 pixels wide and 2,160 pixels high, making it almost equal to two 1080p screens in height and two in length. Playing games or watching videos without missing any details, high definition and vivid display, totally visual feasts.